First, where do you find pending applications? Quick answer: on the dashboard and in the menu. If you have any outstanding applications to review, a light blue rectangular bubble will appear in the top left-hand corner of the screen under your program name and ID. Do they have a live/active site? Does their content complement your brand/products? Do they feature subject matter or content of which you disapprove? Does the site have working links? Do they fit the criteria of your program agreement? i.e. are their promotional methods in line with your terms? Does the Affiliate have additional websites listed? Make sure to follow the same procedure if they will be promoting your brand on all web properties. Certain states interpret Affiliate presence in another state as though the company is operating “business” in that state and therefore, must pay state sales tax on transactions initiated by the Affiliate. Because of this, you may have restrictions in working with certain Affiliates based on Nexus laws in their home state. It would be beneficial to spend some time doing research on how this might impact your business. PRO TIP: You can set up Application Requirements or Application Rules to save time in reviewing applications. 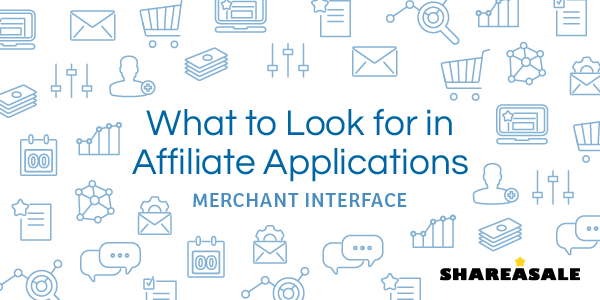 There are two pieces of information that every Affiliate application will include: Status and Feedback. Both will tell you about the current standing of an Affiliate and can help set expectations for the partnership. 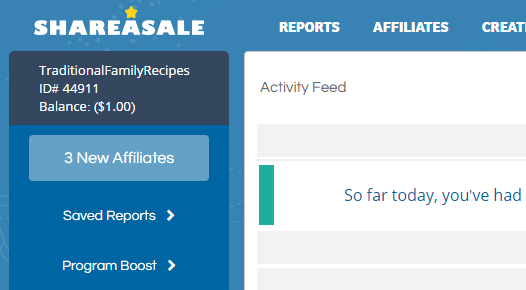 Full status = Affiliate has generated at least $50 in commissions from the merchant programs they are signed up with and have received at least one check from ShareASale. Limited = Affiliate has not yet generated a minimum of $50 in commissions. Could be an indication that they are either just starting out or not very active. An application with a limited status might warrant a more comprehensive review. Be sure to look at the feedback that other merchants have left for a particular affiliate. 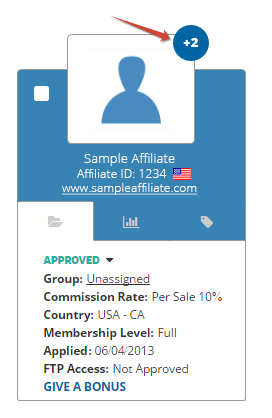 This is visible on the Transaction Detail Report, The Affiliate List and the Affiliate Detail Page. In the event that negative feedback is left, there are often responses back from the affiliate so you can see if the situation was resolved. Full feedback records can be found on the affiliate’s detail page. The first step of recruitment is making sure you have a public page available on your website that explains your Affiliate program and provides a link to sign up. Often times, Merchants put this in their footer or link to it from the About Us page. If you are interested in tracking where your affiliate signups come from, you can use our “Signup Source” feature. Using a signup source, you can set up a rule to automatically approve their application, auto-assign a tag and generally help you organize and keep track of your affiliates.